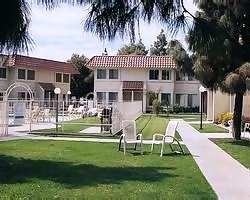 You'll find a world of leisure-time pleasures at *Indian Palms Intervals*, from a 27-hole golf course and nine tennis courts to whirlpools and two outdoor pools! For avid golfers, more than 75 golf courses are within 30 minutes of the resort. Take a drive to the Salton Sea, an inland saltwater lake that is the largest body of water in California, or go to the Palm Springs Aerial Tramway. Only 22 miles from the world-class shops and restaurants of Palm Springs, the resort offers guests a quiet atmosphere in which to relax after a busy day of golf, sight-seeing, and shopping. Great resort for golf lovers! 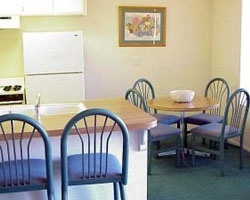 Resort is conveniently located near a 27-hole golf course! Buyer may receive a title fee credit, inquire for details! Highly motivated Seller. Perfect resort for peaceful and relaxing vacations! Buyer may receive a title fee credit, inquire for details! Close to Joshua Tree National Park! Rent an ATV and view all the beautiful mountain views! Golfers & tennis lovers' dream resort! Yearly floating week! Buyer may receive a title fee credit; inquire for details! Ideal resort for avid golfers! Buyer may receive a title fee credit, inquire for details! Make family memories at this Cozy California resort with scenic views! Buyer may receive a title fee credit, inquire for details! 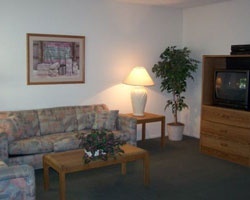 Come to this resort and make many memories at this cozy California Resort with scenic views! Annual floating week! Inquire for details! 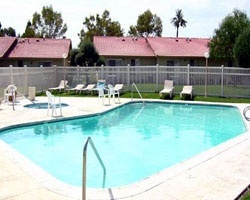 Fun Resort Close to the Salton Sea, 27-Hole Golf, Tramway & More! Yearly Usage in Red Season! Make Offer! Attention Golfers! 75 golf courses within 30 miles! Close to the Salton Sea too! Yearly usage in Red season week! Neg! Come make many memories at this cozy California resort! Buyer may receive a title fee credit, inquire for details! 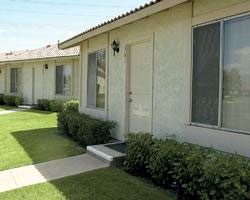 Fun resort close to the tramway, a 27-hole golf course and more! Buyer may receive a title fee credit, inquire for details! Perfect resort for peaceful and relaxing vacations! Bring your golf clubs or relax by the lake!